As discussed in another article on this site, a study showed that using Adobe Flash in PPC ads cost advertisers billions in ads that can’t be viewed on mobile devices. The situation has become worse for the software platform in the past few weeks. Several tech giants have moved away from supporting Flash and it seems the end is near for the platform. This article will discuss the recent developments regarding Adobe Flash and why business owners should make sure their websites are no longer using Flash. The core issue is security. Adobe Flash lets developers do a lot, but it also allow hackers a venue to launch malicious software on a computer. Adobe is constantly updating their software to close up holes, but Flash is notoriously like swiss cheese when it comes to security. Last month, an attack using Flash was able to breach the security that Chrome uses to keep Flash from doing anything bad. A team of hackers (the good kind) posted a huge listing of known vulnerabilities in Flash, in an attempt to encourage people to abandon the plugin. The big news of the month is that Firefox’s chief of security blasted Adobe Flash publicly and temporarily set all Mozilla Firefox browsers to block Flash by default (users could have turned it back on if they need to). Firefox reintroduced Flash a day later, but the whole fiasco is part of a growing trend of moving away from Flash. Google Chrome users have seen bars stating that certain versions of Flash Player won’t be supported in the near future. And Google has said that future versions of Chrome will intelligently pause all versions of Flash that aren’t essential for core website function. Though Flash is still used on Facebook and other sites, it’s clear that the end is near for Flash, unless they make some major changes. As was explained in the previous article, Adobe Flash is a software platform that was popular for creating games and apps for desktop browsers. In advertising, these would be the ads where moving the mouse over the ad changed the content. And in games, flash was used to create environments that ran within a browser, so the user wouldn’t have to download anything and the game loaded on the website. 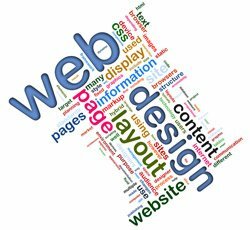 Business owners should be concerned because Flash was used for general website purposes like creating slideshows widgets, opening animations and more. If a site was built more than five years ago, there’s a good chance that Flash was used to build some of the eye-popping visual effects. Many of these features can be replicated with HTML5, a more accepted alternative to Flash. Getting rid of flash also related to building a mobile friendly site. Flash is not supported by any of the most recent versions of Android and iOS. Google’s mobile-friendly algorithm will penalize a site that uses Flash. Website owners may have gotten around this by having a separate mobile site, but the time has come to just abandon the Flash site entirely. Moving away from Flash also makes sense because it promotes security which many consumers care about more and more. People are hearing about this war against Flash in the media, and many will go and disable Flash by default on their browsers. They may not go through the effort to make exceptions for sites they visited before that still use Flash. Rebuilding a site is troublesome, but necessary. Adobe Flash was once the standard for web design, but that time has come and gone. Holding onto an old site when the internet has moved onto better things is a way to guarantee that a business loses ground to their competitors online. For other major changes website owners may consider doing at the same time, read this article on why retail sites need to use HTTPS.